Grew Up… under the sea. A mermaid, Ariel grew up swimming among dazzling fishes and her fellow mermen. But somehow, that's not enough. The sea is great, sure, but Ariel knows there's a whole other world far above it. Visiting... the surface! After years of dreaming of living on land, Ariel has finally gotten her wish – but at a terrible price. In order to walk on two human legs, Ariel has traded her voice to the sea witch Ursula. Profession… princess. 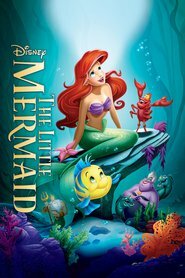 King Triton's youngest daughter, Ariel is also the one he tries to protect the most. But while Ariel might love her father, it's hard to deny that his protectiveness can be smothering. After all, as Ariel tells him, "I'm 16 years old! I'm not a child anymore!" Interests… exploring and collecting. Ariel and her best friend, Flounder, who is also fascinated by life above water, have scoured dozens of sunken ships for forks and other odd human artifacts. But what does any of that matter when she's stuck in the water? Relationship Status… complicated. Ariel became a human to order to be with Prince Eric, whose life she saved earlier. But while the two clearly care for each other, it's difficult for Ariel to communicate much without her voice. That’s especially frustrating because it was the foggy memory of Ariel singing to him while he was injured that first made Eric fall for her, though of course he didn’t realize at the time that it was Ariel. Like we said, it’s complicated. Challenge… getting Prince Eric to return her feelings. If Ariel can get Eric to give her the "kiss of true love" within three days, then Ursula will return her voice, and she'll be able to be with him – forever. However, Ursula quite wants to keep Ariel's voice, and she won't hesitate to cheat when it comes to what she wants. Personality… curious, spunky, and strong-willed. Once Ariel decides she wants something, she's determined to get it, no matter what her father may say. But for all her teenage rebellion, Ariel has a good heart. She may cause headaches for her father like any headstrong 16-year-old, but she won't hesitate to help anyone in trouble. Ariel's popularity ranking on CharacTour is #46 out of 5,000+ characters. See our top-ranked characters and read their profiles.